Look to the Stars likes to keep a look out for break-out informative films. 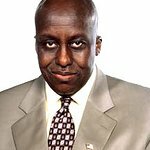 In 2007, we showcased Cover, a film by Actor/Director Bill Duke. Cover put the spotlight on the dangers of keeping secret when you have AIDS from your partner. We got a number of comments from our readers about this article. In October of 2008, we deemed Trouble the Water an important film. It is a documentary about Hurricane Katrina and the aftermath. Trouble the Water went on to receive an Oscar nomination. Danny Glover is among the executive producers of the piece. In 2009 we will seek to find more important films as we travel to more film festivals, beginning with the Method Fest March 26- April 2, 2009 in Calabasas, CA and NALIP in April. The festival is named for the famous school of acting which was advanced in popularity by Lee Strasburg. Among the famous students of this form of acting include the late great actor and philanthropist Paul Newman. Last spring the festival gave top honors lesser known veteran actors Melissa Leo (Frozen River_) and Richard Jenkins (_Frozen River). Both would garner Oscar nominations in 2009. In The Visitor, Jenkins loaned his acting talents to a piece which showcased deep personal story of illegal immigration. At LTTS, we make it our our mission is to shed light on the good works of artists be it the form of charity or social awareness.